On my thumb, I created the FIFA Brazil logo. It was actually fairly difficult to draw because of all the fingers. I used a green and yellow gel pen to create the outlines and filled it in with nail polish. I always rely on this technique to create the details. 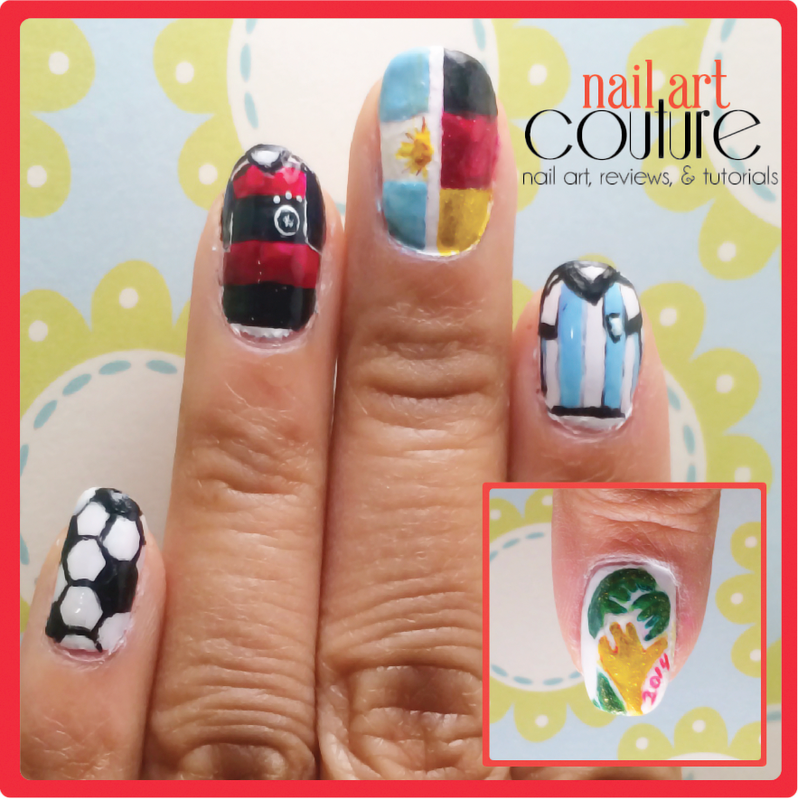 On my index and ring finger, I painted the Germany and Argentina soccer jersey. On the middle, I create a split of the two countries' flags. I used a striping tape to create the sharp line. Finally on the pinky, I tied it all in with a soccer pattern. I used a lot of nail polishes to create this nail art, I think around 15 bottles. I didn't count them before I put them away. I'm so lucky that I do have all these colours to play with. I topped some areas with some micro-glitter polishes to add a feminine touch. I'm actually really happy with how it turned out. It took a long to create the details, but the final result looks good to me. 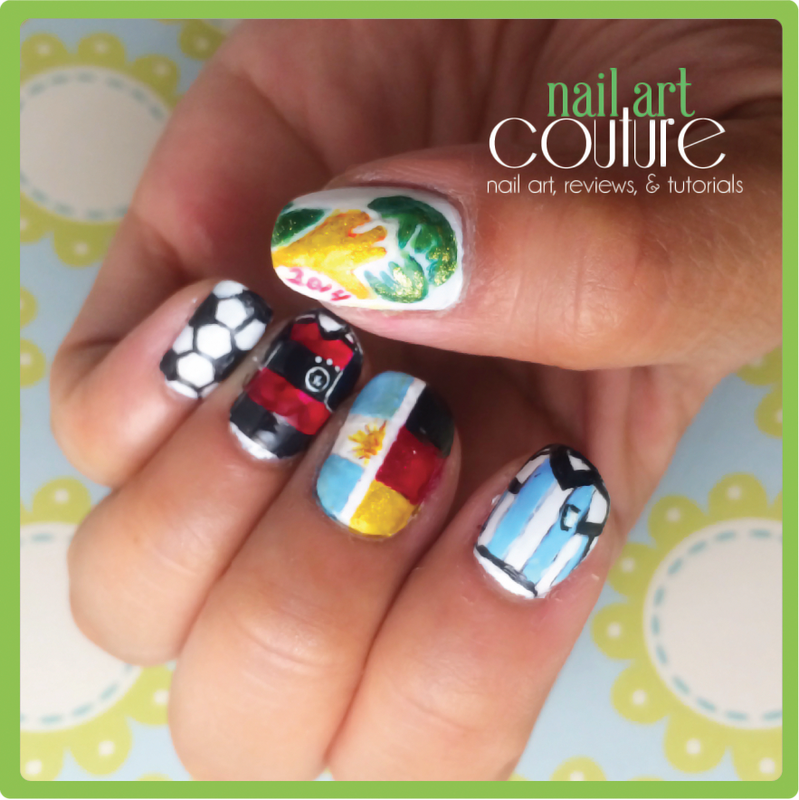 I really hope you enjoy my FIFA Finalist nail art! Enjoy the spectacle on Sunday! 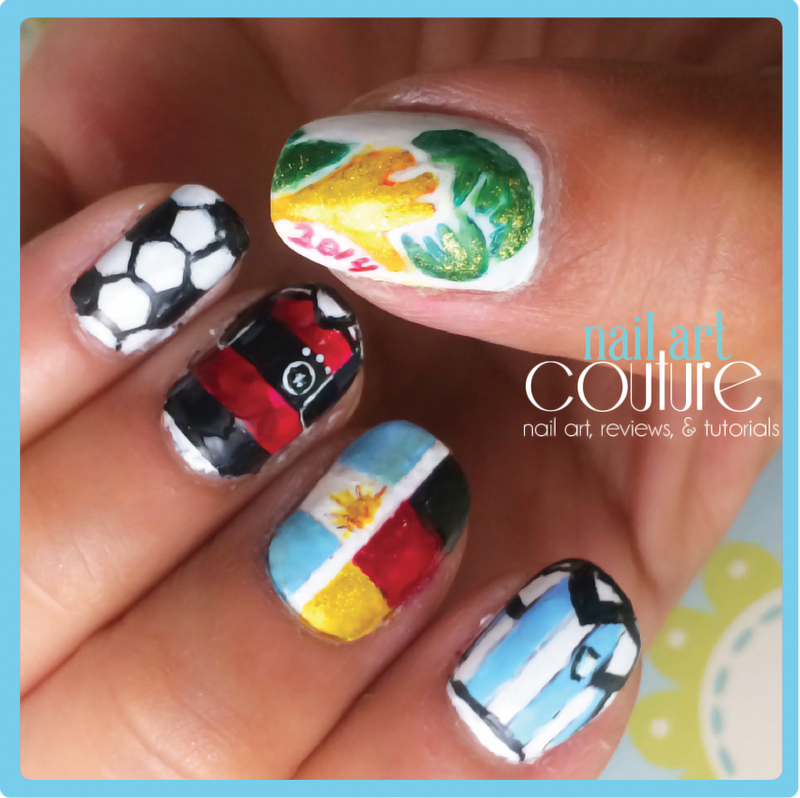 GO GERMANY GO! You have such a lovely blog. Would you like to follow each other on gfc and g+? I also switch textlinks and banners.